On Kawara has based the entirety of his collection of books, paintings, and drawings on the arbitrariness and subjectivity of the way we measure time. Many of his projects are ongoing, making Kawara himself, as the recorder of time, one of the primary materials in his conceptual works. 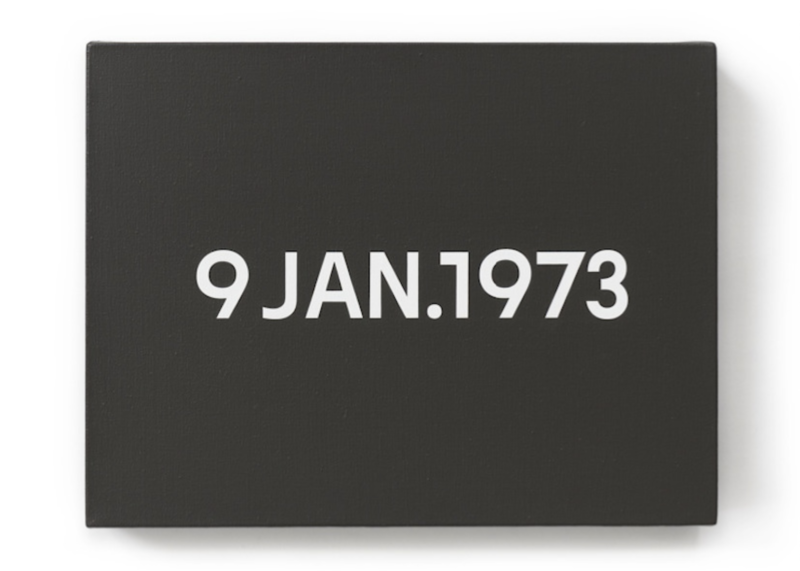 Kawara is perhaps best known for the “date paintings” in his Today series (1966-), each of which conforms to one of eight predetermined sizes and features a date in hand-lettered typography painted over a monochromatic background. The artist completed the canvases while living or staying in over 100 cities around the world. Each date painting is displayed with a handcrafted cardboard box and a clipping from a newspaper published in the same city and on the same day that the artist made the work. Kawara continues to create new works in the series.